Australia, 16 August 2016: Disruptive Australian software startup RedEye today launched its highly anticipated workforce mobility app, RedEyeWFM. Tapping into the fast-growing $US320 billion global enterprise mobility market, RedEyeWFM helps teams manage the creation, scheduling and completion of jobs anywhere, on any device. Through the creation of customisable templates such as checklists and work orders, RedEyeWFM allows teams to communicate remotely and in real-time via mobile devices. The app aims to lower the traditional administration costs and paperwork associated with managing teams, while improving project accuracy and collaboration through cloud-based data management. 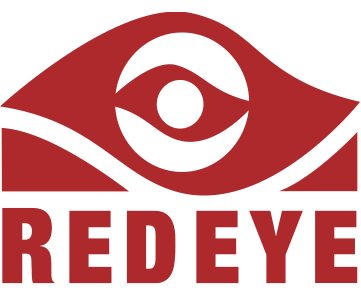 RedEye is one of Australia’s fastest growing startups and a leading cloud-based solution for enterprise. Today’s launch follows the success of RedEyeDMS – a mobile solution for the engineering and architectural sectors, and the first app to make engineering drawings and data truly mobile. Co-founder and CEO Wayne Gerard said RedEyeWFM expands the company’s reach to all other industries where there’s a need to manage the progress of allocated jobs. “RedEye is all about changing the way we work to create better productivity, safety and quality outcomes for companies and their teams. As the workforce becomes more distributed, teams need better tools to manage performance and keep their workforce connected from any location. RedEyeWFM is the missing component for business,” Gerard said. The launch aligns with today’s simultaneous release of RedEye’s Future of Work White Paper, built upon months of research with executives at leading enterprise groups. Key themes explored in the white paper include: enterprise mobility; connected devices; management processes; and how enterprise is currently using technology to help solve workplace challenges. RedEye Co-founder, Randall Makin added “RedEyeWFM supports the need for workers and supervisors to communicate, collaborate and stay across jobs using their mobile devices. The flexibility and customisation of the app allows it to be applicable to any industry. expected to manage global and mobile workforces. RedEyeWFM is a solution to redefining team and project management procedures as we continue to advance into the Future of Work,” Makin added.